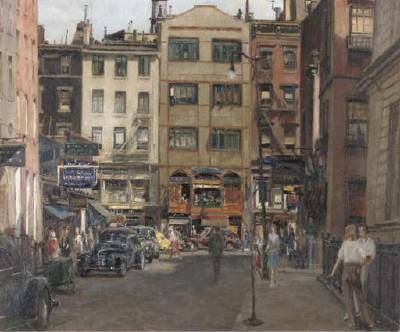 Italian-born American painter Alfred S. Mira (1900-1980) and his realistic, gritty, intimate Greenwich Village street scenes should be better known. 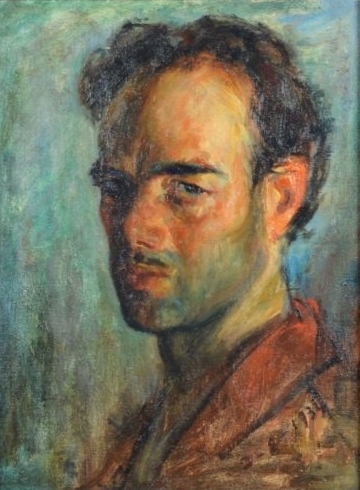 Born in 1900 in Sicily, Italy to a carpenter father, he left school and began working for an interior decorator, dreaming of going to art school but without the 50 cents a day it cost to attend. 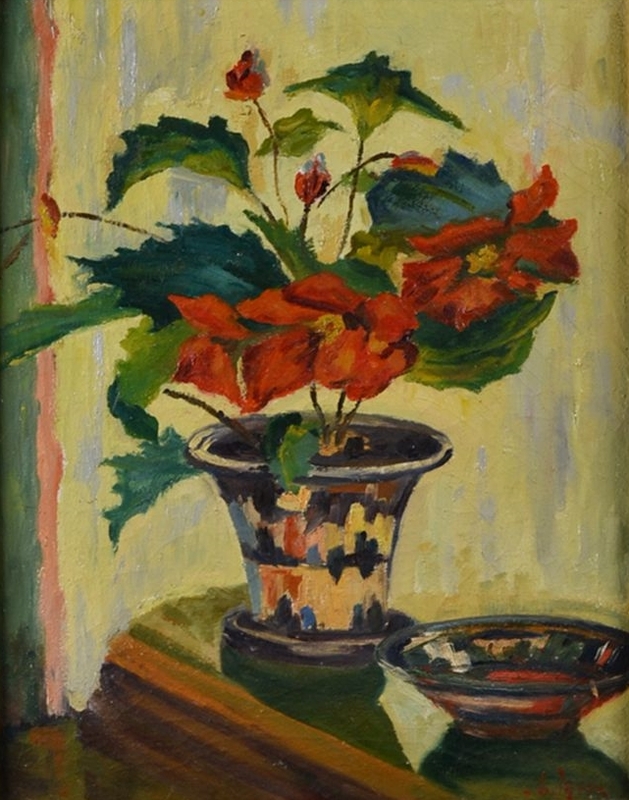 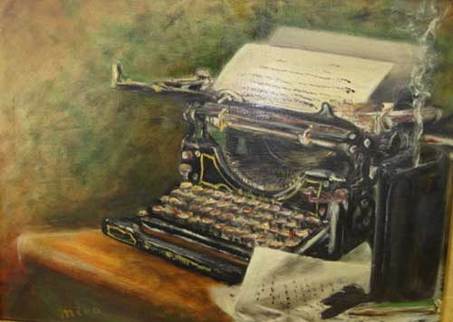 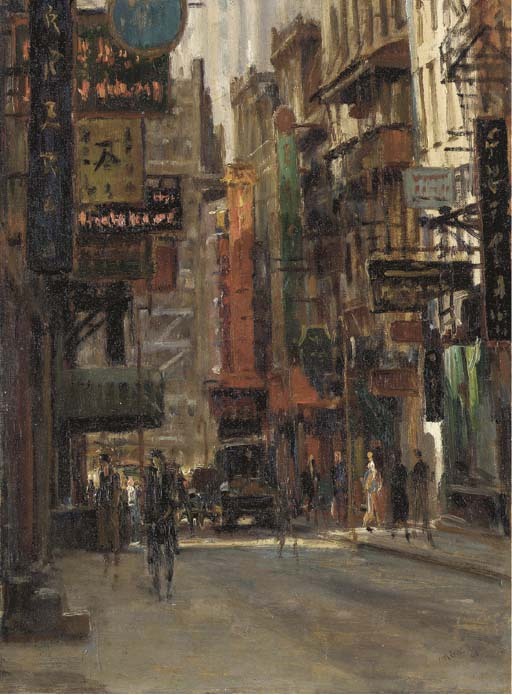 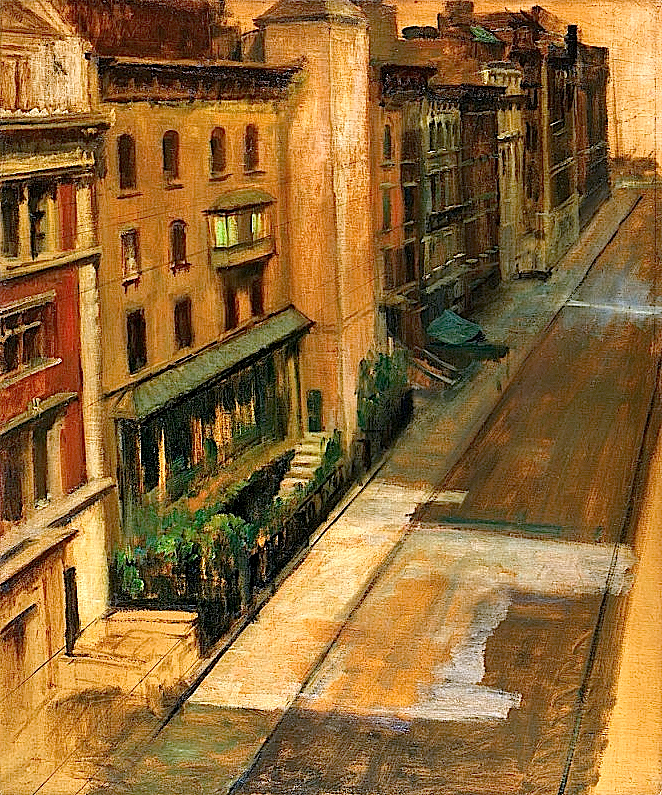 He did make a career out of painting though; he listed his address as East 8th Street and his occupation as painter in the 1940 census. 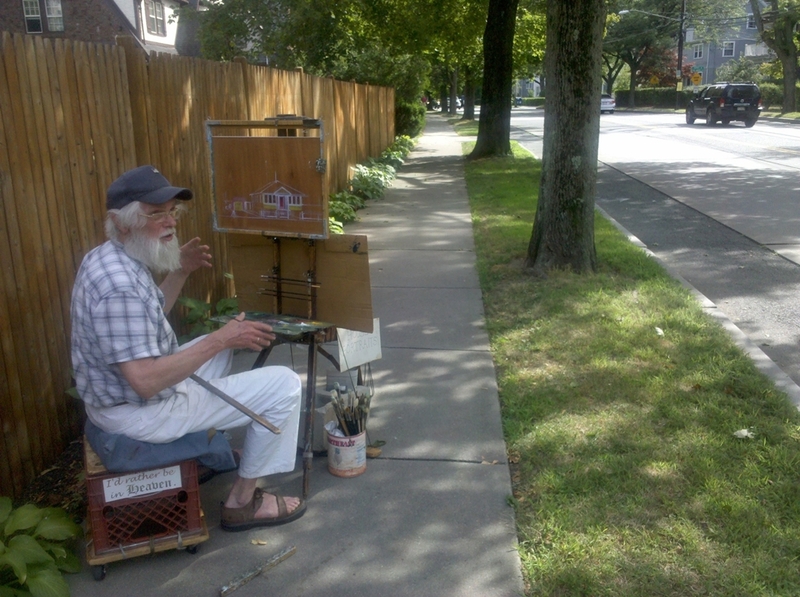 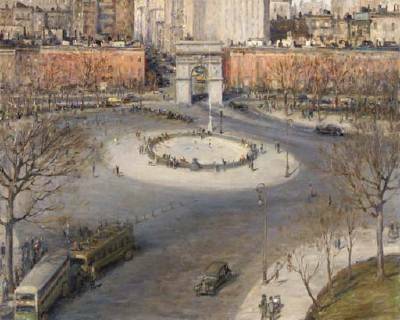 And he sold his work at the Washington Square outdoor art exhibit, a heralded event decades ago. 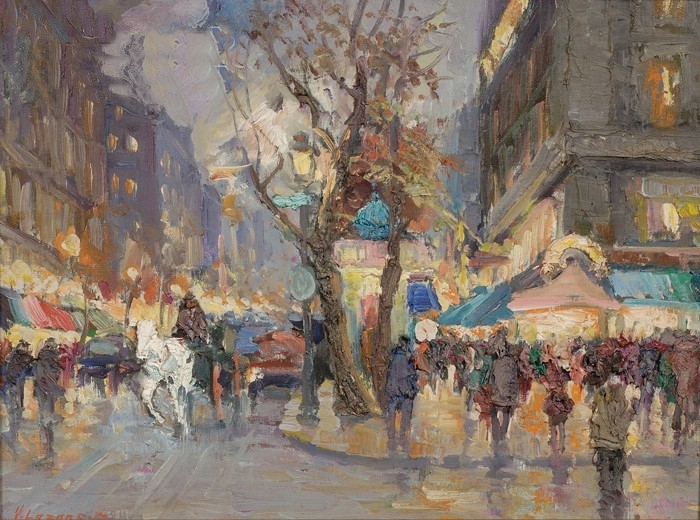 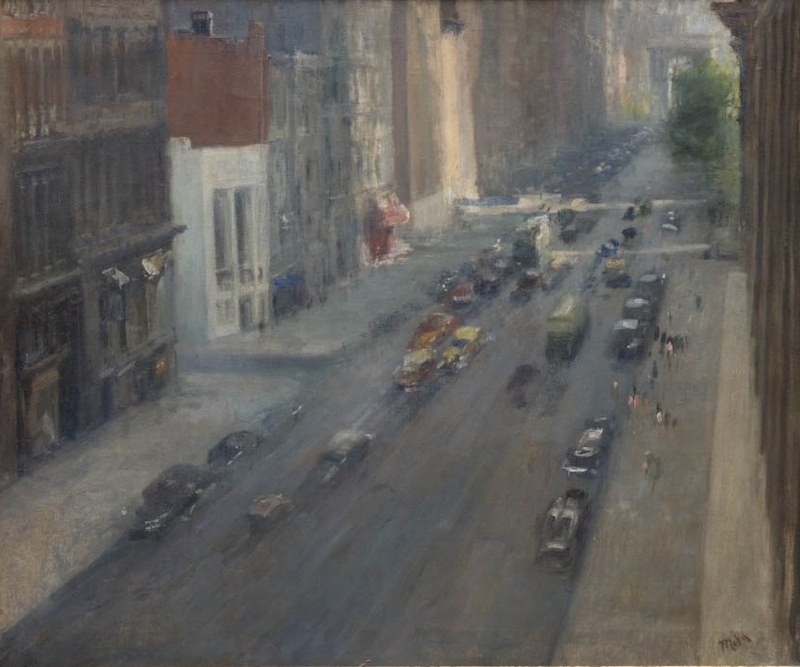 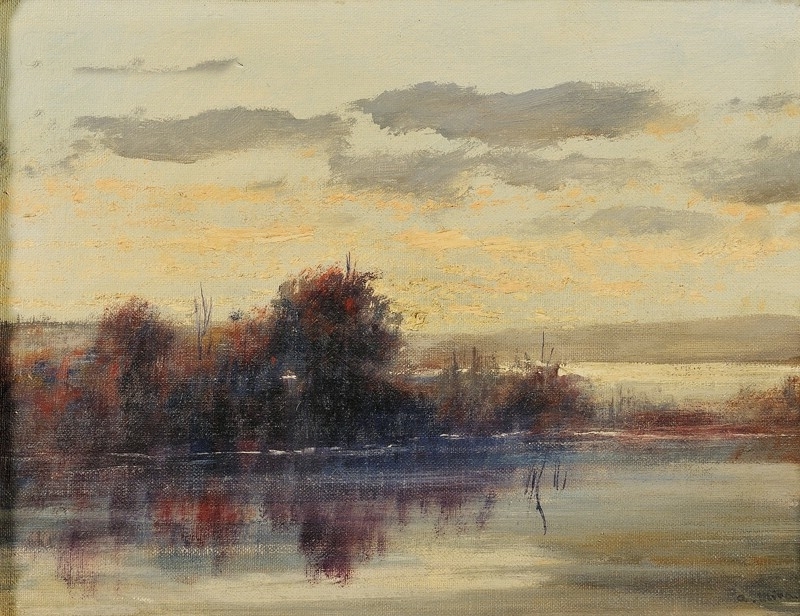 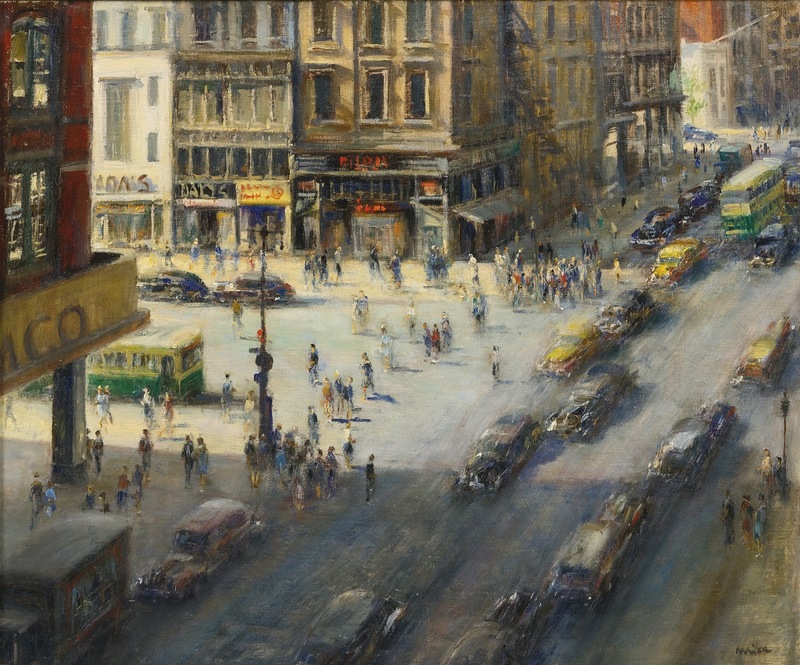 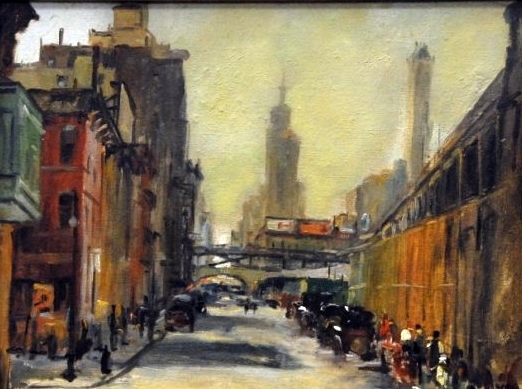 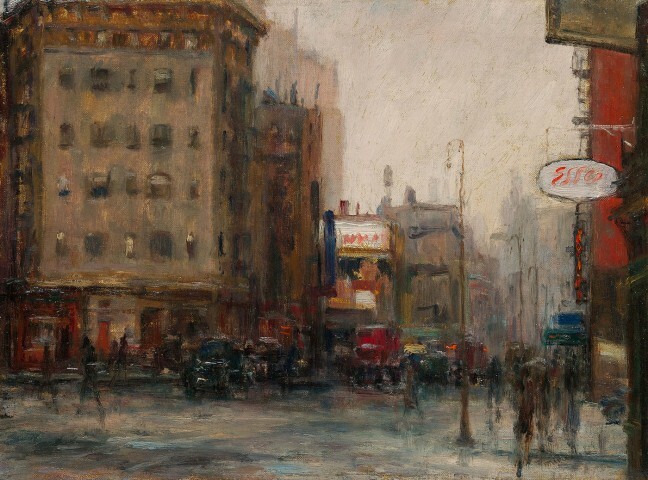 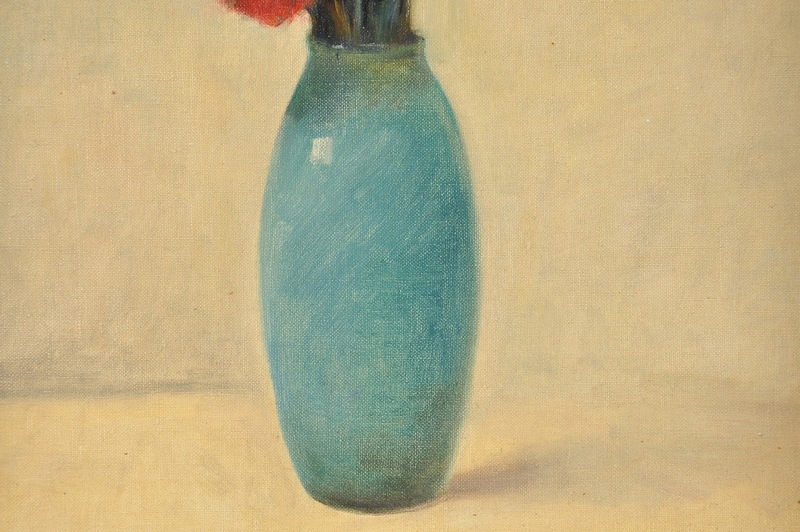 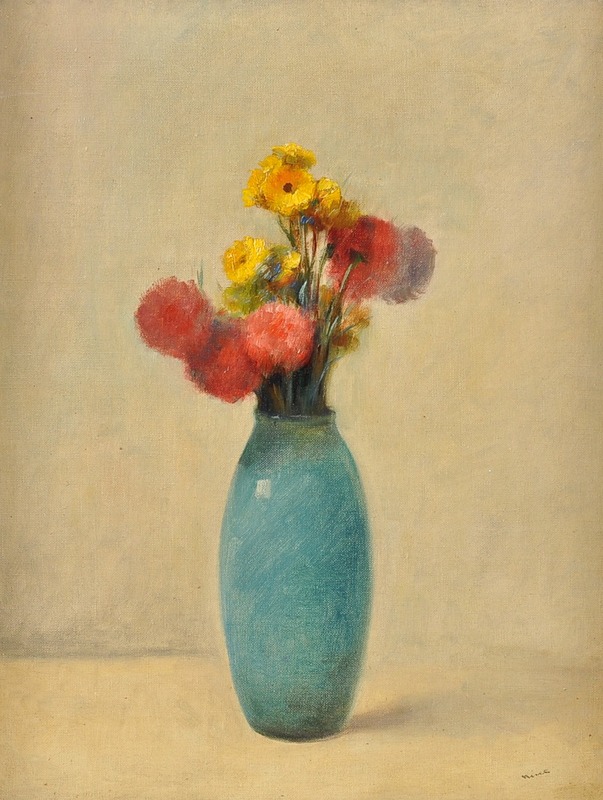 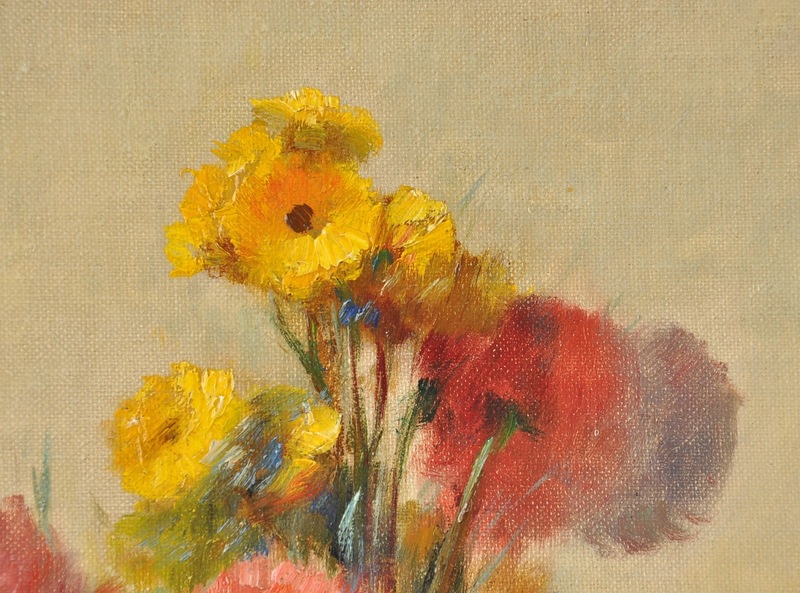 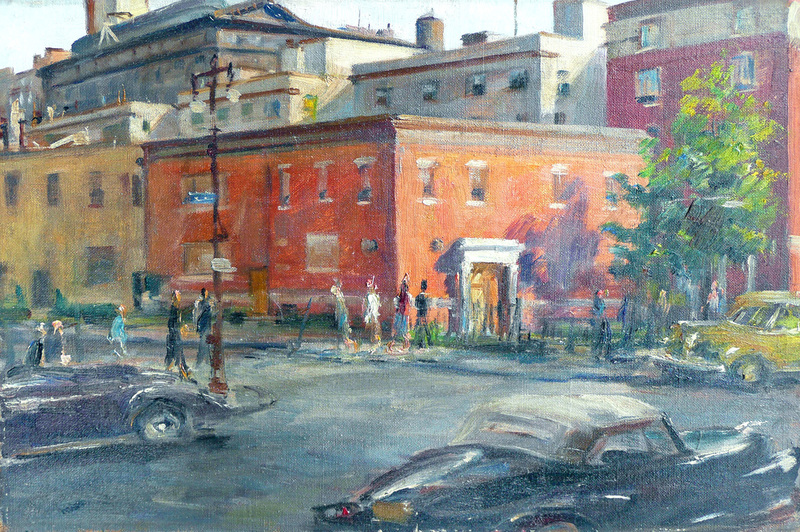 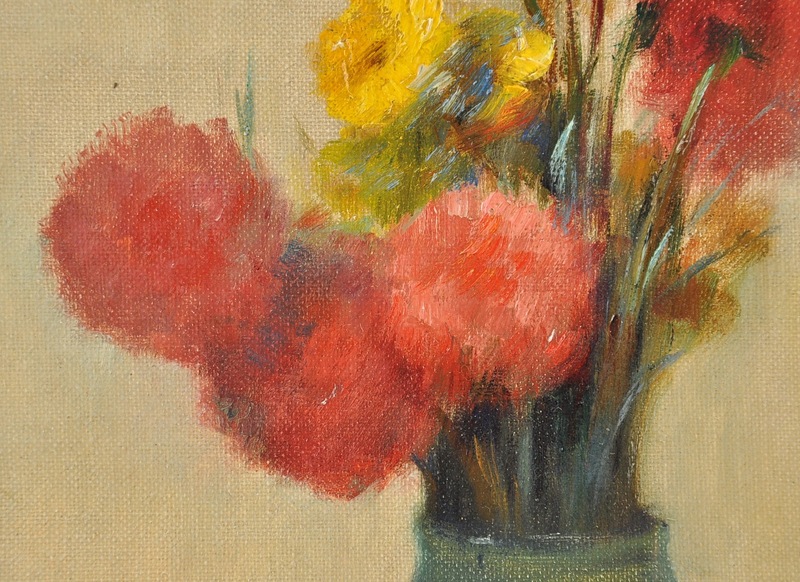 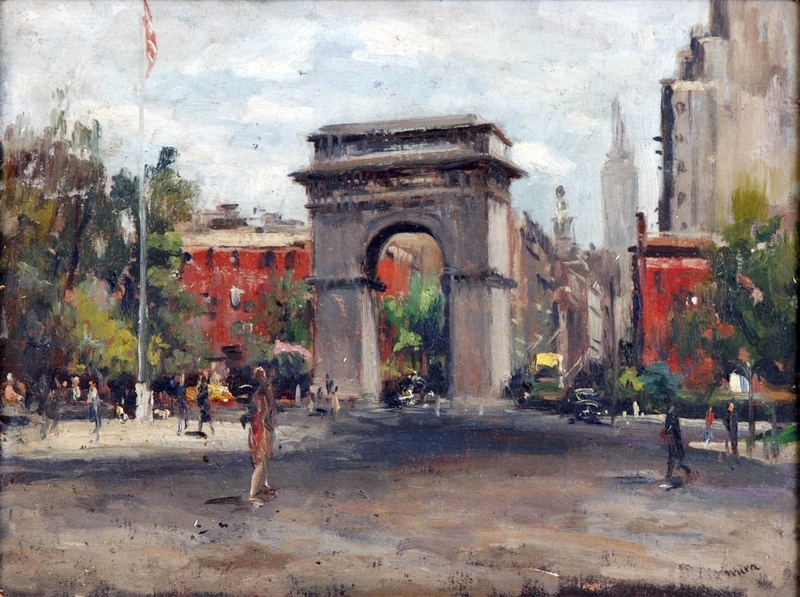 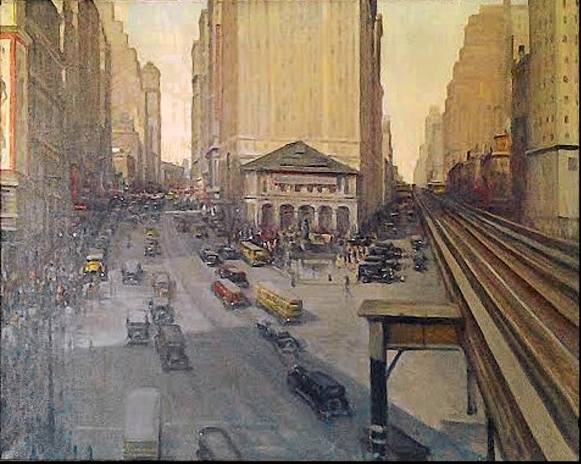 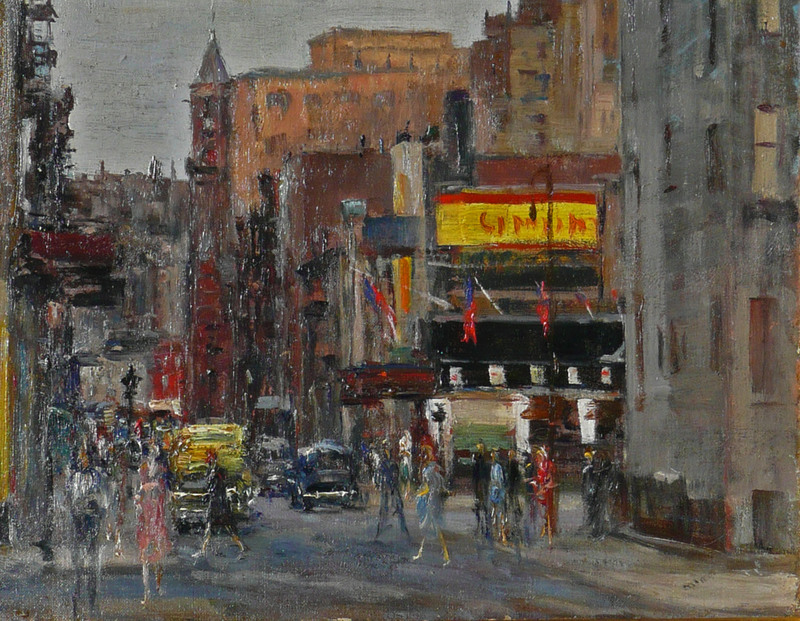 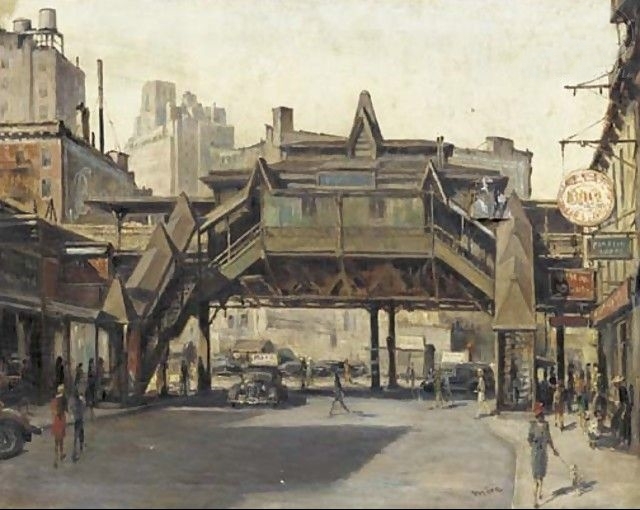 Though he painted scenes from all over the city, Mira focused his work on the sites and monuments of Greenwich Village: the Washington Arch, MacDougal Street, and Seventh Avenue South. 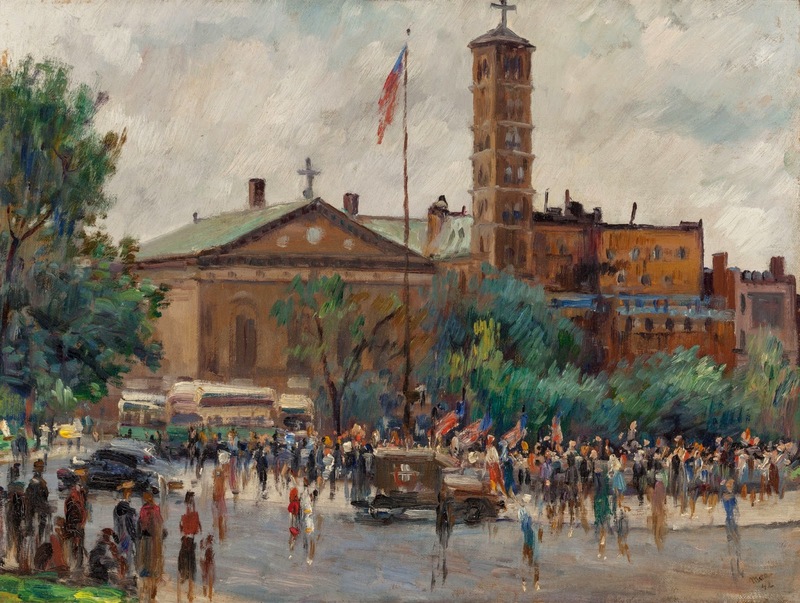 His inspiration seems to come from the urban realists who made a name for themselves in the early 1900s, such as George Bellows and George Luks. 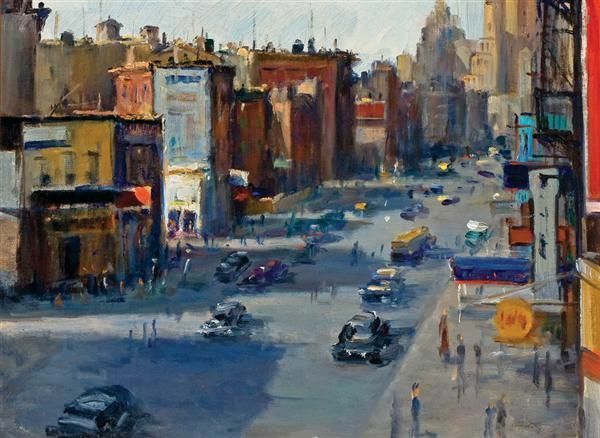 But his style is his own: honest, sometimes gritty, sometimes dreamy, and deeply atmospheric-a true street artist who captured the moods of the city. 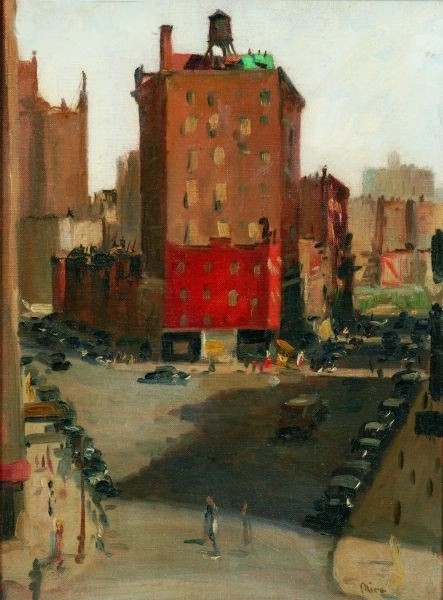 "Mira painted angled, bird’s eye viewpoints, thereby creating what one critic categorized as ‘moving camera eye impressions", explains gallery Questroyal Fine Art LLC.